Access Systems is an established company with significant experience in the outsourcing. We are focused on adding business value to the client by leveraging our vast and deep experience in functional and technology areas. We have helped clients reduce time to market by expediting the use of IT in business. Access Systems is committed to creating successful long-term relationships with all our clients. We employ several innovative methods to nurture and strengthen the relationship. We adopt a transparent, responsive and measurable approach that also imbibes best in class governance practices. This customer-centric approach has resulted in considerable benefits to our clients. Access Systems offers flexible engagement models tailored to suit the needs of our clients. We take complete responsibility for the delivery of the right solution within the prescribed time and budget. We have demonstrated this commitment to our clients consistently. Access Systems offers a high quality senior management attention to client engagements. In addition, we have an experienced team of professionals who bring to the table an extensive body of functional and technical knowledge, combined with excellent project management skills. Our mature resource deployment methodology leverages over years of rich and varied experience. 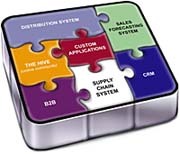 Access Systems has structured and mature software processes and methodologies that are constantly reviewed and updated. Access Systems emphasizes continuous improvement of its employee's knowledge. We conduct regular training sessions that enhance the technical and functional understanding of our employees. This is in addition to regular project-based training.